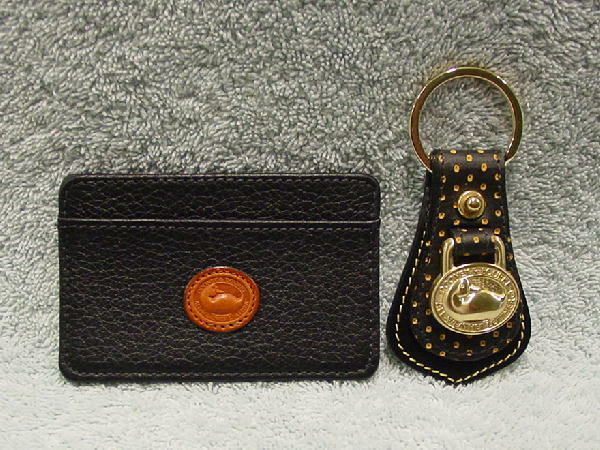 They are in a black leather with the logo duck in a saddle tan on the front of the card holder. Circling the gold-tone metal duck (on the key holder) and the tan leather duck it says Dooney & Bourke All Weather Leather. 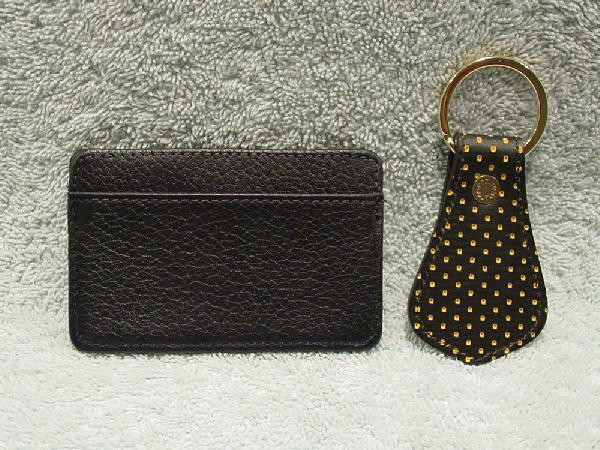 The key holder has a pattern of maize dot indentations. The pockets are lined in a shiny black fabric.